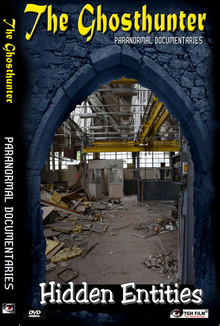 Hidden entities is a documentary about paranormal activity. Based on the truth. Several paranormal subjects in one movie. still a priest stuck in the confessional! What caused this priest to become negative? 3. The struggle of a multinational has been going on for years. business is not how it should be and bankruptcy is coming closer. What is causing all this? 4. The old electrical power plant. This place speaks for itself. Throughout all the years of service it has had it’s fair share of accidents. 5.Listening at the cemetery. The Ghosthunter grabs the camera and heads of to the cemetery. Have you ever done this? Just go out and listen to what is going on at a cemetery at night.